Nearly all Anne Rice’s books are seemingly conventional though she usually employs unconventional elements, philosophical concepts, and colorful characters to differentiate the story from other novels that feature witches, vampires, mummies, etc. Anne Rice’s “The Mummy,” or Ramses the Damned follows this same formula and thus might appear formulaic if you’re familiar with her novels. In actuality, this novel contains its own unique paradigm with different types of characters and far more action sequences than “Interview with the Vampire.” In many ways, this novel is stylistically similar to “The Tale of the Body Thief” where there were many more fast-paced action sequences than the usual Anne Rice book which are primarily filled with dialogue and descriptions that focus partially on the sensual details of her fictitious worlds, or philosophical questions. This isn’t a criticism necessarily.These are the most rewarding elements that make her novels stand apart from other books. From the beginning, the novel begins with the momentous discovery of Ramses the Damned’s tomb. The main archaeologist, behind this discovery, happens to find written evidence that Ramses might have lived during Cleopatra’s reign. Using meticulously researched historical facts, Anne Rice crafts a story that hypothetically explores the idea of the “mummy” of a famous pharaoh being an immortal. During this rather interesting beginning sequence, Anne Rice also constructs the template from which the 400-page novel will follow. Whether she outlines or not, the scene works perfectly as an effective beginning sequence that captures the reader’s attention because it is staged to stir questions in our minds. Interestingly, we are vicariously discovering these archaeological finds which makes us raise some of the same questions that some of the characters form about these odd archaeological findings: How could Ramses have been able to live past his alleged death? Where is the irrefutable proof behind this? After the beginning, the novel becomes very rapidly paced as more elements of the story are slowly unraveled. Using a mummy analogy, the mummy’s white linen much like the story itself is slowly unwrapped till we behold the whole story which still elicits questions even when we finally come upon the resolution. Another effective element within Anne Rice’s novels, especially “The Mummy,” lies with her ability to incorporate exposition without hindering the flow of the story. Some writers tend to inundate the reader with meaningless exposition whereas Anne Rice, and several other writers with similar talent (Madeleine L’Engle, Margaret Atwood,etc.) artfully place the exposition in places which bolster the quality of the story rather than make the exposition appear too contrived. Perhaps, the reason behind this lies with the ability for these writers to focus more upon “showing” us the story that unfolds in their mind rather than forcefully pull together something mainly for financial compensation. Overall, I loved the recurrent philosophical discussions about “death,” and how the inevitability of death shapes our lives. Would immortality have a greater ability to grant us more time to create more meaning? Or does the longevity of our lives only contribute to the overweening melancholy that occasionally fills our lives? Anne Rice’s novels has always been about escaping the imminent nihilism that floods our lives. Her vampires metaphorically depend upon “human blood” or vitality to sate our hungry spirit that earnestly searches for meaning. Her mummies are no different: They need a myriad number of pleasures to imbue them with satisfaction that eliminates the moroseness of an unfulfilled life spent reflecting upon the possibility that life itself might be overwhelmingly purposeless. All Anne Rice’s books are illustrative of this necessity to live a purposeful existence to purge this fear that can leave us as comatose as Louis in “Interview with the Vampire” because he refused himself those carnal pleasures that might have kept him divided from the dark thoughts of existence. Overall, this book has a frenetic pace and it is very well structured! 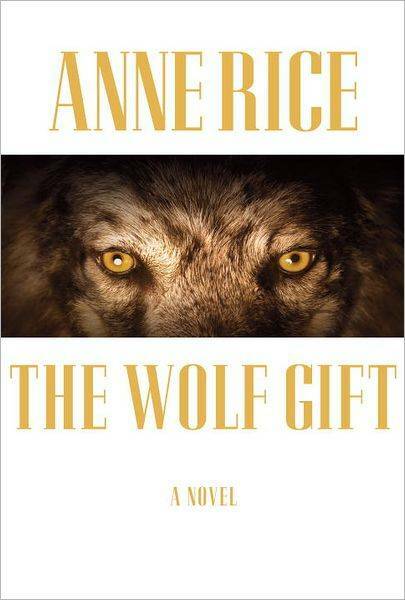 It comes highly recommended as a book to savor while waiting impatiently for “The Wolf Gift:” It’s coming out Feb. 14, 2012!!!!! That is a little less than two months from now.